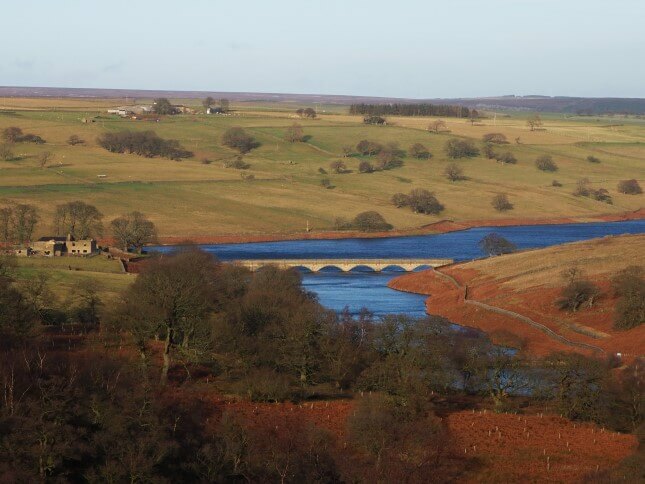 Roundhill Reservoir is one of two reservoirs in the valley of Pott Beck, a side valley of the River Burn which in turn flows into the River Ure at Masham. 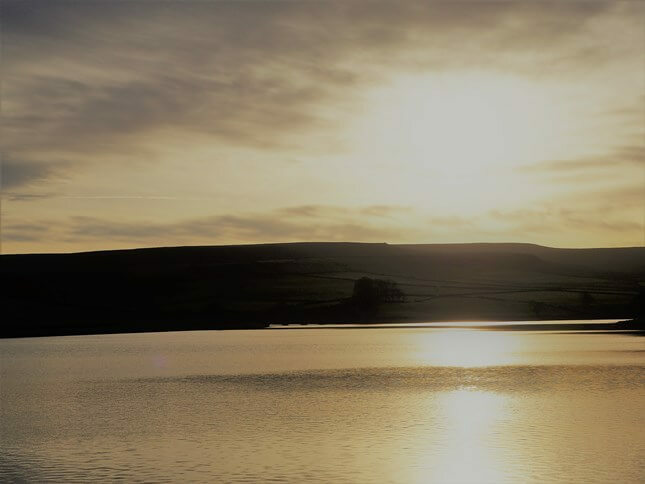 Unlike neighbouring Leighton Reservoir, which is apparently used as a compensation reservoir for the River Ure, Roundhill Reservoir was built to supply water to Harrogate. Work on the reservoir began in 1903 and completed in 1911. 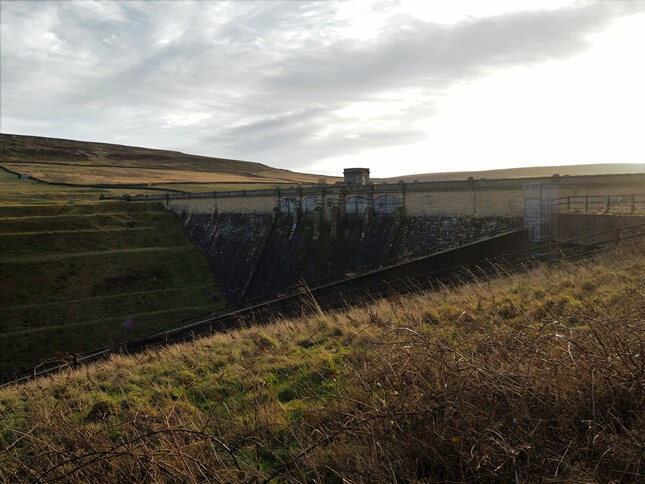 To mark the opening of the reservoir two stones were laid either side of the valve house on 13th June 1911. One was laid by Alderman Joseph Balmforth, Chairman of the Water Committee. The other was laid by the magnificently named Captain Archibald Boyd-Carpenter who was the Mayor of Harrogate at the time. 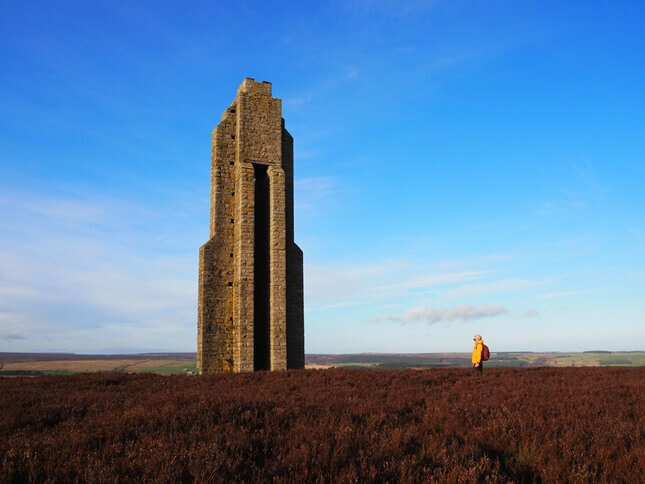 An unusual monument to the surveying that was carried out for placing the pipeline is the tall sighting tower situated on the moor above the reservoir. This was one of three towers built in 1903 as part of the engineering works connected to the construction of Roundhill Reservoir and projected, but never built, reservoirs in Dallowgill to the south. Whilst Leighton Reservoir lacks public rights of way, Roundhill Reservoir is slightly better served in this regard. 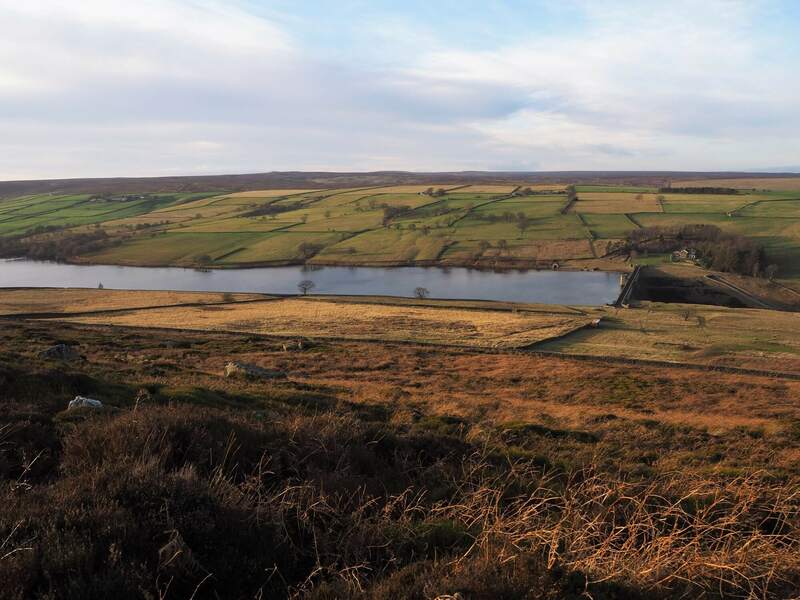 A good track crosses the reservoir’s dam before climbing gradually up on to Arnagill Moor above the side valley of Arnagill. At the western end of the reservoir a path drops down from Low Ash Head Moor before climbing up Pott Moor High Road on the other side of the valley.